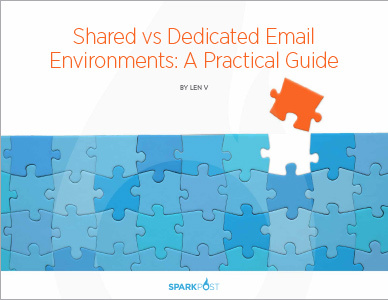 One of the most important—and most misunderstood—requirements for sending email at volume is determining when to use a dedicated IP address and when a shared address is appropriate. At SparkPost, we offer both approaches, to best meet a range of business and technical requirements. Choosing the right one can make all the difference in your business. Download our guide today to help make the decision that’s right for your business!